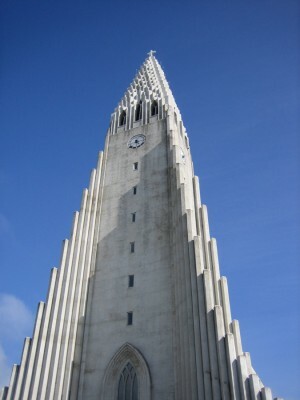 Angular, asymmetrical, colorful and just plain extraordinary, there are modern churches that will have one looking in vain for a traditional steeple. 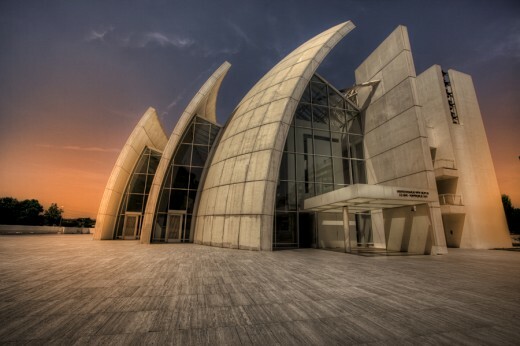 All around the world, architects are designing ever more eye-catching houses of worship – chapels and synagogues whos shapes and colors will be impressing visitors long after the upcoming holiday season has passed. 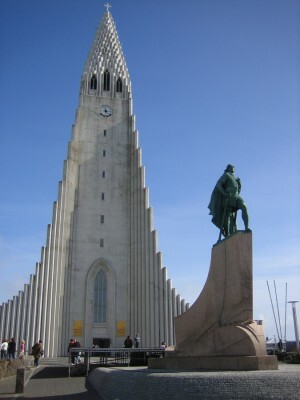 Emporis (www.emporis.com), the international provider of building information, has now compiled a selection of the world’s most spectacular churches. One of the most recent examples, the Neue Synagoge (New Synagogue) in the German city of Mainz, is reminiscent at first sight of building blocks in a wide variety of shapes and sizes, piled on top of one another and interspersed by slanting triangular and rectangular windows. In actual fact, this Jewish place of worship, completed in 2010, is intended to represent an outsized version of the Hebrew word Kedushah, meaning blessing. 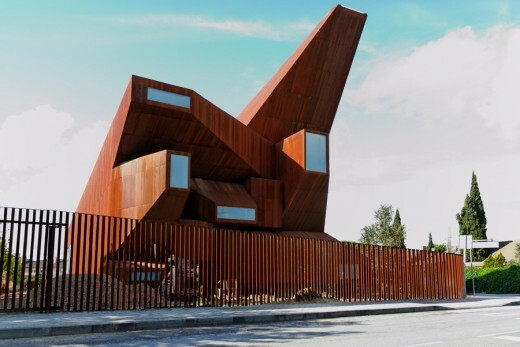 The architects of Iglesia Parroquial en Rivas Vaciamadrid in Madrid, Vicens + Ramos, also make strong use of corners and edges, with finger-like protuberances projecting like truncated pyramids out of the north side of the church. The building is also notable for its rust-colored facade, which sets it apart from other churches in terms of color. With fewer angles, but all the more rotund instead, are the Cathédrale de la Résurrection in Évry, France, and the Leaf Chapel in Hokuto, Japan. The former catches the attention with its circular footprint and the trees ringing its steep rooftop like a crown. 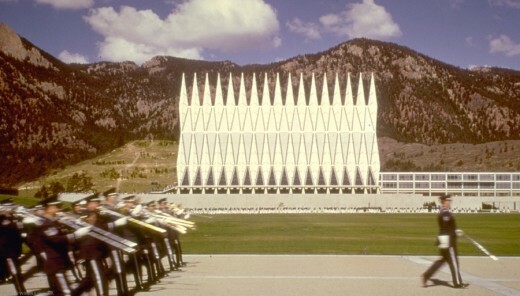 The Leaf Chapel, on the other hand, is reminiscent of a cupola nestling against a slope. Its two-part shape consists of a glass half that is stationary and a second half made of steel that can be pushed up over the other. In favorable weather conditions, the indoor chapel can quickly be made into a location for an open-air wedding. 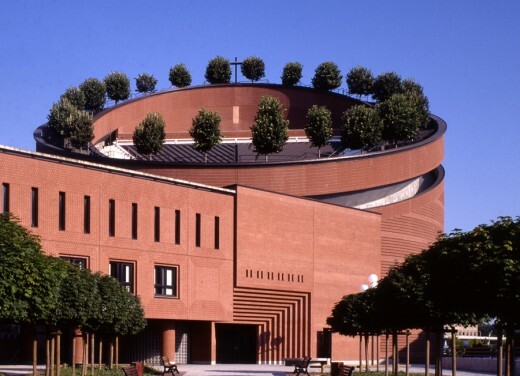 A harmonious combination of rectangular and round elements is displayed by the Jubilee Church in Rome, Italy. While the right-hand half is composed of rectangular blocks that house the various rooms and a bell tower, the left-hand side is characterized by three semi-circular layers that grow smaller as you move outward, and which lean over the other parts of the building like a cocoon. Especially for the “Eternal City” Rome with its countless Christian churches from two millennia of history, this asymmetrical house of worship does not just represent a feat of daring, but also a singular architectural highlight. Wherever one looks, church architecture is undergoing a process of upheaval. 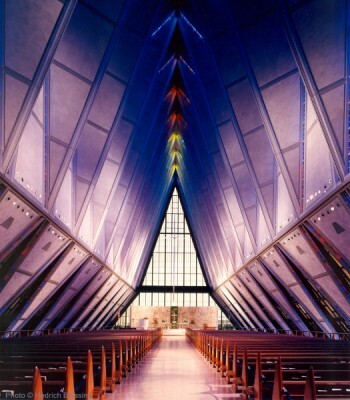 Outstanding designs are making modern houses of worship stylish works of art. Whether this modernization of the appearance will benefit the image of church as an institution and lead to more people attending services, will remain to be seen. 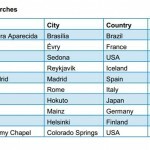 One thing, however, is already certain: These ten spectacular churches are unique architectural masterpieces. 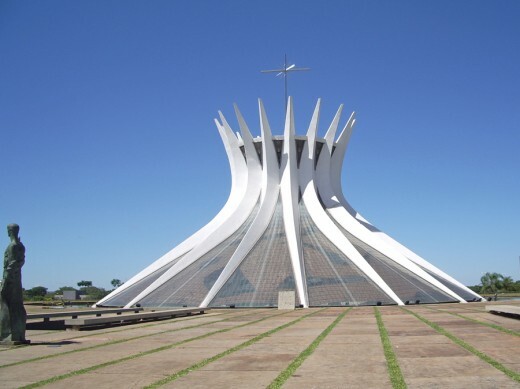 The cathedral was planned (by the star architect Oscar Niemeyer) and built as part of the construction of the new Brazilian capital Brasília. 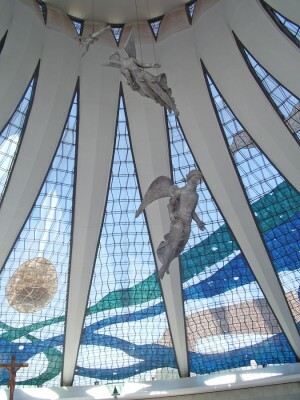 Consisting of concrete and glass, the Catedral Metropolitana Nossa Senhora Aparecida is notable for its hyperbolic form, which is evoked by 16 concrete pillars. The Cáthedrale de la Résurrection is finished in brick and has the shape of a diagonally-cut cylinder. The circular footprint symbolizes divine perfection and the community of mankind. The roof ridge is decorated with 24 linden trees, the symbol of life. In the 1990s, this was the first cathedral to have been built in France for over 100 years. 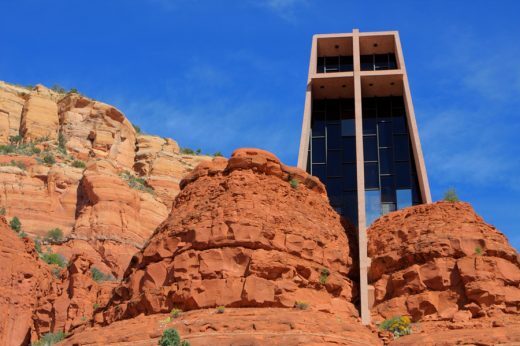 The Chapel of the Holy Cross is set into the red rock of the American town of Sedona, which is also known by the nickname of “Beverly Hills on the Rocks”. 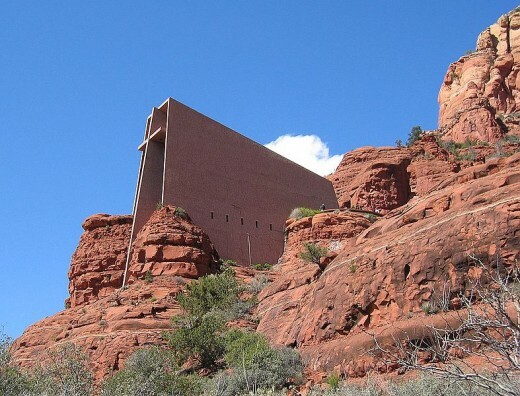 In 2007, the church was voted one of the seven “Manmade Wonders” of Arizona by the inhabitants of the state. 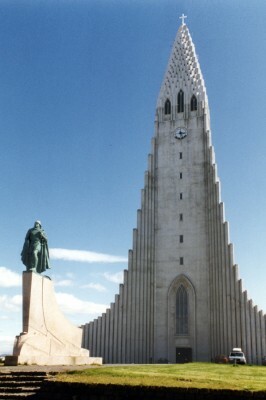 At 73 meters’ height, Hallgrímskirkja, in the Icelandic capital Reykjavík, is Iceland’s tallest church building. 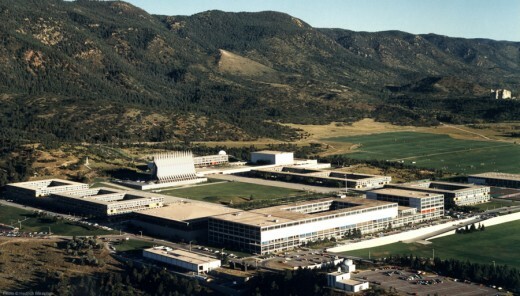 Thanks to its location on a hill in the city’s downtown, it is used as a handy orientation point. The shape of this house of worship is intended to reflect the Icelandic landscape: the facade evokes the basalt columns of the cliffs while the snow-white interior symbolizes the ice of the glaciers. The Iglesia Parroquial en Rivas Vaciamadrid consists of two buildings. One houses the church offices, the other the chapel. 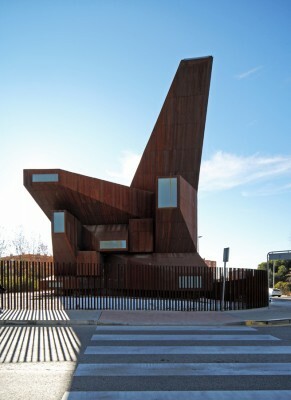 The church is completely clad in cor-ten steel, making it rust-colored and thus differentiating it particularly strongly from traditional church architecture. 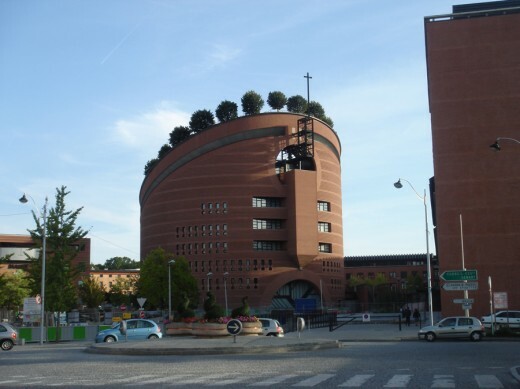 The Jubilee Church, which is also known by the name Dio Padre Misericordioso, came about due to the construction program of the Diocese of Rome, the aim of which was to create churches of high architectural quality for the jubilee year of 2000. 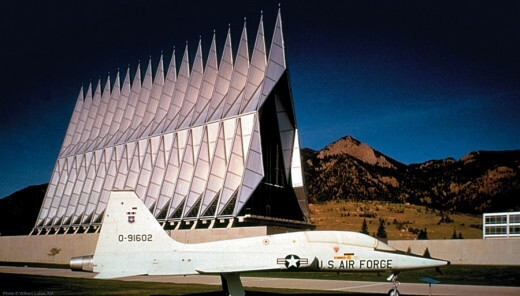 The church’s design particularly catches the attention: Three curved shells appear to take to the air, evoking images such as angel’s wings or full sails. Leaf Chapel is located on the grounds of the Risonare hotel resort in Hokuto, Japan. The chapel consists of two leaf-shaped shells. 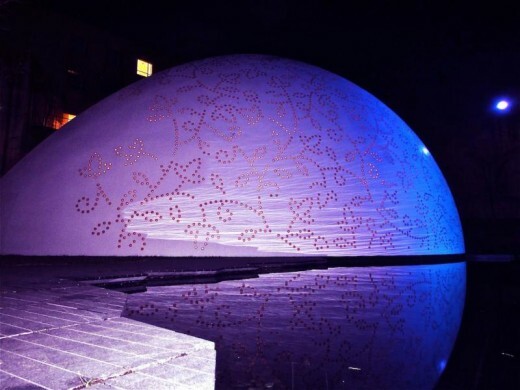 One of these is made of glass and forms a kind of pergola while the other, white shell is perforated with 4,700 holes and is reminiscent of a bridal veil. The Neue Synagoge Mainz (New Synagogue of Mainz in English) was built in 2008–2010 on the location of the former main synagogue of Mainz. The building is intended to embody five Hebrew letters forming the word Kedushah, a blessing from Jewish liturgy. 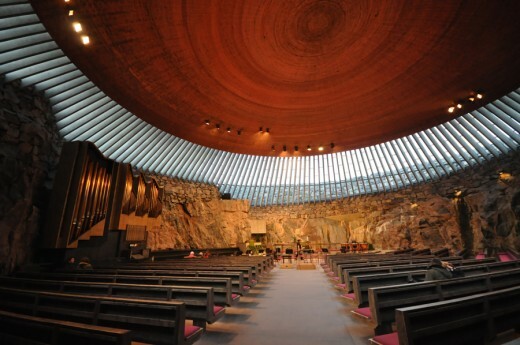 Temppeliaukio Church is a rock church that was built into a granite face. 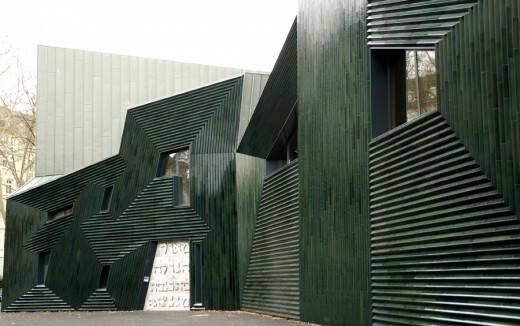 It is considered an outstanding example of 1960s Finnish architecture. The church is not just used for services held by the Evangelical community, but is also used for concerts. In addition, it is a significant tourist attraction and receives around 500,000 visitors a year. The chapel is notable for its fir-like shape. 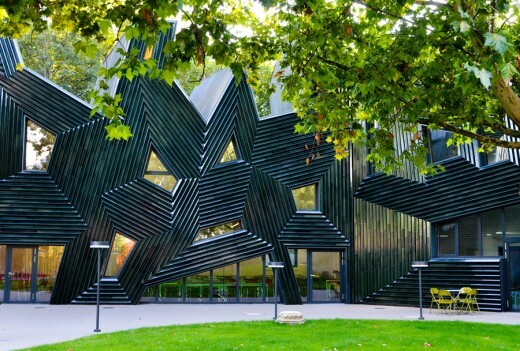 The structure of the building is formed by a series of 17 towers each composed of 100 identical tetrahedrons. The building has a separate chapel each for Protestant, Catholic, Jewish and Buddhist worshippers, and two rooms in which all religions can hold services.